It is quite impressive, but I wasn’t sure I was going to get it. First the price, and also the fact that I pretty much only buy minifigure scale sets. And, if I was going to get it and built it, I don’t really have any space for it. So, the wisest option was to pass. Well, yes, I did, because, yes, I bought it. I was at Yamada-denki to get a new phone (it’s an electronics store in Japan, not too different from Best Buy if you’re in the US, or Darty if you’re in France – not sure for other countries, sorry). They also sell some toys, including Lego. I always check them out, as their pricing is always a bit random (usually quite average, but once in a while you will find cheaper sets – usually the cheap sets are cheaper than average and the expensive one are more expensive than average, go figure). 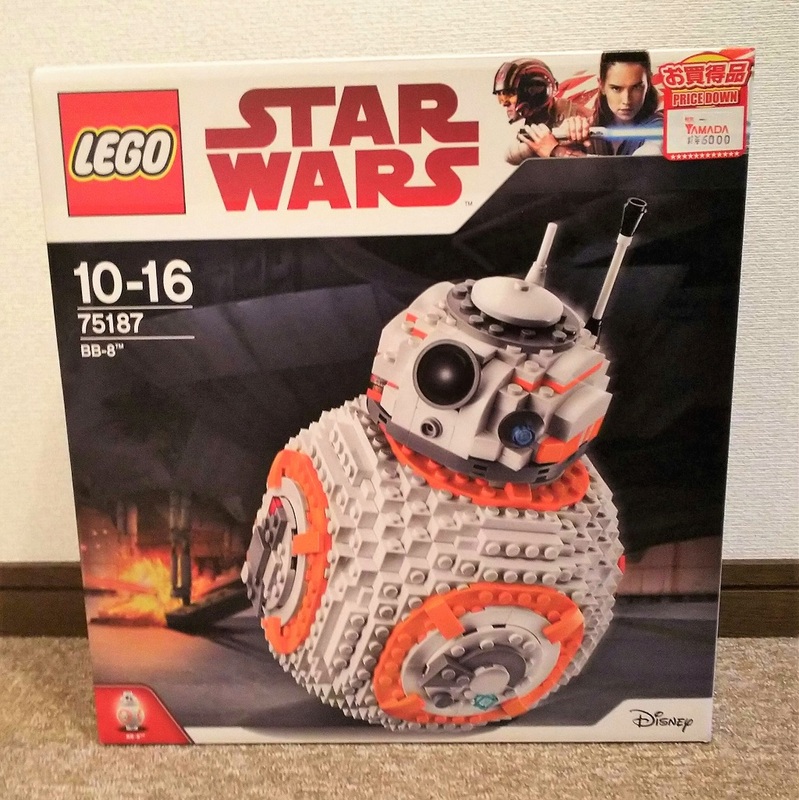 And there it was, this sole BB-8 set sold for ¥6,000!!! That’s about €44 or $53! To give you an idea, “standard” price for this set in Japan is closer to ¥10,000 (€74 – $90), it’s currently selling for ¥9,000 on Amazon and ¥13,000 at Toys R’ Us, the two most common places that sell Lego in the country. So, basically I had to buy it. Now, the question is: what to do with it? Next story Kylo Ren is shredded!